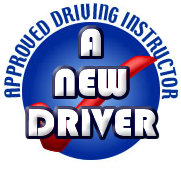 A New Driver is a driving school run by James Hickey. We offer driving lessons from beginners (teen drivers, late starters) to advanced (refreshers). We will pick you up from your home in Artane and drop you back too. We will get you driving in and around Artane so that you are familiar with your home area before taking further challenges. James set up his own company in August 2005 and has had no shortage of successful and happy clients from Artane, who highly recommend him for both lessons and pretests. We can pick a preferred driving route or a route around Artane. As a fully qualified driving instructor James Hickey offers students, through his Dublin driving school, a range of driving instruction options: from private lessons , to edt driving lessons, to pre-test. His EDT course provides the full 12 hours of EDT instruction required. Driving lessons Dublin are a key offering from James. He specialises in providing driving instructions in most of the north Dublin residential areas, where he’s based.